If your account is in State Bank of India then this news is special for you. According to a report released on Wednesday January 30, there is a big mistake from the State Bank of India. SBI forgot to secure its server, that is why the information of millions of account holders was threatened public. However, the server has been secured after the report comes forward, but many of the questions arose from this mistake of the country's largest bank State Bank of India. According to the website TechCrunch's report, SBI's Mumbai Data Center server was running without password. It also included two months of data of ACI Quick. For the people's information, let us know that SBI Quick is a Miss Call Banking Service. With the help of this service, the account holders receive balance, mini statement, request check book and other information. Account holders data are in danger: report-TechCrunch reported that this information was given by a security researcher. The researcher said that the password was not found on the SBI server. In this way, any lakhs of account holders could easily access banking data such as mobile number, personal account number, account balance and recent transactions. It is mentioned in the report that any message that was being sent to real time servers sent to SBI Quick Service could be accessed. 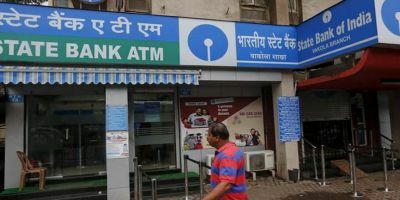 TechCrunch's report said that about 30 lakh messages were sent to the account holders on Monday 28 January, on behalf of State Bank of India (SBI). The information about this has not been revealed since how long the server did not have password protection. We contacted SBI in this regard, but no official response from the bank was received till the news was written.